Against Meritocracy is split into two parts. Part I explores the genealogies of meritocracy within social theory, political discourse and working cultures. It traces the dramatic U-turn in meritocracy’s meaning, from socialist slur to a contemporary ideal of how a society should be organised. Part II uses a series of case studies to analyse the cultural pull of popular ‘parables of progress’, from reality TV to the super-rich and celebrity CEOs, from social media controversies to the rise of the ‘mumpreneur’. 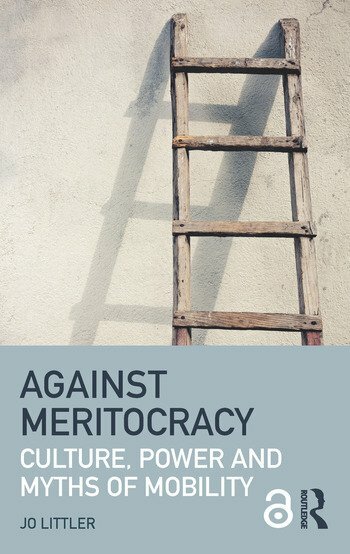 Paying special attention to the role of gender, ‘race’ and class, this book provides new conceptualisations of the meaning of meritocracy in contemporary culture and society. The Open Access version of this book, available at https://doi.org/10.4324/9781315712802, has been made available under a Creative Commons Attribution-Non Commercial-No Derivatives 4.0 license. Jo Littler is a Reader in the Centre for Culture and Creative Industries in the Department of Sociology at City, University of London. She is the author of Radical Consumption: Shopping for change in contemporary culture (2009) and co-editor, with Roshi Naidoo, of The Politics of Heritage: The Legacies of ‘Race’ (2005).